It was about 8:45 p.m. on a slow weeknight in early 2011. We were ready to close the pharmacy down as soon as 9 p.m. hit. We sent her away without the drugs, and without any help or much hope. Linares is now serving time in prison for unlawful distribution of controlled substances and could be pointed to as one of many culprits in the current opioid epidemic. But what about my role, how could I have helped? Nearly 90 percent of Americans live within five miles of a community pharmacy. We use this statistic all the time to support the claim that community pharmacists are the most accessible health care professionals. Patients can walk into any pharmacy across the country without an appointment and find a well-educated professional who will provide free advice and information about medications, self-care and a variety of health-related ailments. A substantially smaller number of patients can walk into a pharmacy presenting as a patient using substances, a patient who is suicidal, or a patient who has undiagnosed schizophrenia and find appropriate support from pharmacy team members specifically trained to work with patients living with mental illnesses. That is why we think Mental Health First Aid is so important. The National Community Pharmacists Association believes that pharmacists, pharmacy technicians and every member of a pharmacy team benefit from Mental Health First Aid training. Pharmacy team members interact with mental health patients every day but are under-prepared to effectively communicate with them. With support from the Community Pharmacy Foundation, we’ve worked with the National Council for Behavioral Health to develop pharmacy-specific cases for use in the Mental Health First Aid program. We’ve awarded scholarships to three pharmacists to become Mental Health First Aid-certified Instructors. These steps lay the foundation for a groundswell of Mental Health First Aid training through the ranks of pharmacists and their team members. When I went through Mental Health First Aid training in January, I thought back on my experience with my patient that night in pharmacy school. Neither I, nor the pharmacist on duty, was prepared to do anything more than what we did for her. We hadn’t been trained to assess patients in that situation or on ways to refer them to professional resources. As pharmacists, we are often asked to offer assistance and suggestions. We confidently offer suggestions to prescribers for medications that avoid drug-drug interactions and advice to patients for which over-the-counter treatments to take. We need the same confidence to respond appropriately to patients with mental illnesses, to assess the situation, listen to patient concerns, give support and information, and encourage and connect to professional and self-help solutions – the five essential steps of the Mental Health First Aid action plan. Our goal is that patients across the country who walk into a community pharmacy like my patient did seven years ago, will find a professional equipped with a skill set and resources to actually help. 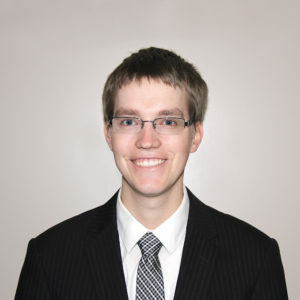 Kevin Day, PharmD serves as Associate Director of Strategic Initiatives at NCPA. At NCPA, Kevin specializes in areas including specialty pharmacy, transitions of care, behavioral health, and point-of-care testing.